Spring football is now 60% of the way completed for the Ohio State football team and the Buckeyes are no closer to finding a starting quarterback than they were when they began. That doesn’t mean there isn’t talent to get the job done, it just means that things need to get better. 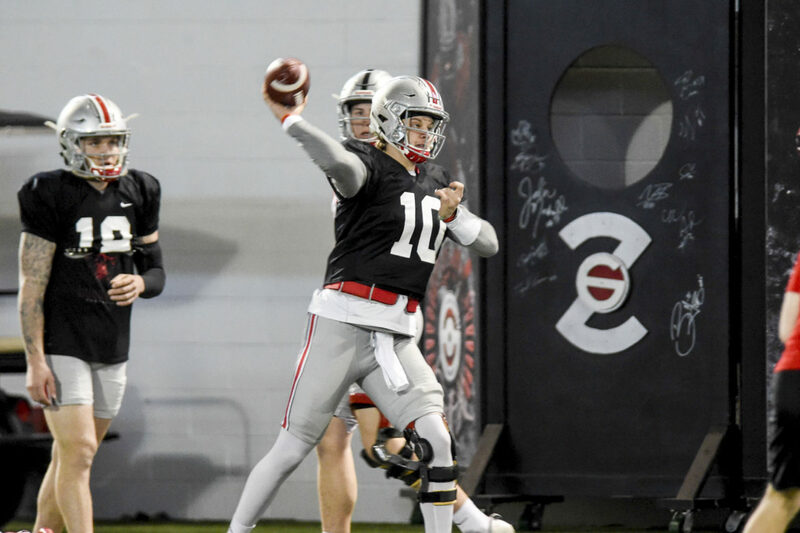 According to Urban Meyer on Monday, however, spring camp is not always the best environment for a quarterback to shine. Meyer’s penchant for resting veteran players during spring and fall camp because they don’t need the reps like younger players do has many positive results, but in the middle of a quarterback battle, it is not exactly ideal. Still, that doesn’t mean one quarterback can’t look better than the others, and that’s what is frustrating Meyer the most right now. “You wish one would take it, and that has not happened,” he said. Joe Burrow, Dwayne Haskins, and Tate Martell all have their positives, and Meyer sees that on a daily basis. He is still waiting for the kind of consistency that he can build an offense around. “It’s day-to-day. Tate had much better day to day,” he said. “He’s got a skill set that’s a little bit J.T.-ish as far as the Q run. He’s just built for that and he actually threw the ball. He threw the ball well too. Joe probably had the better scrimmage on Saturday, but then Dwayne came back. 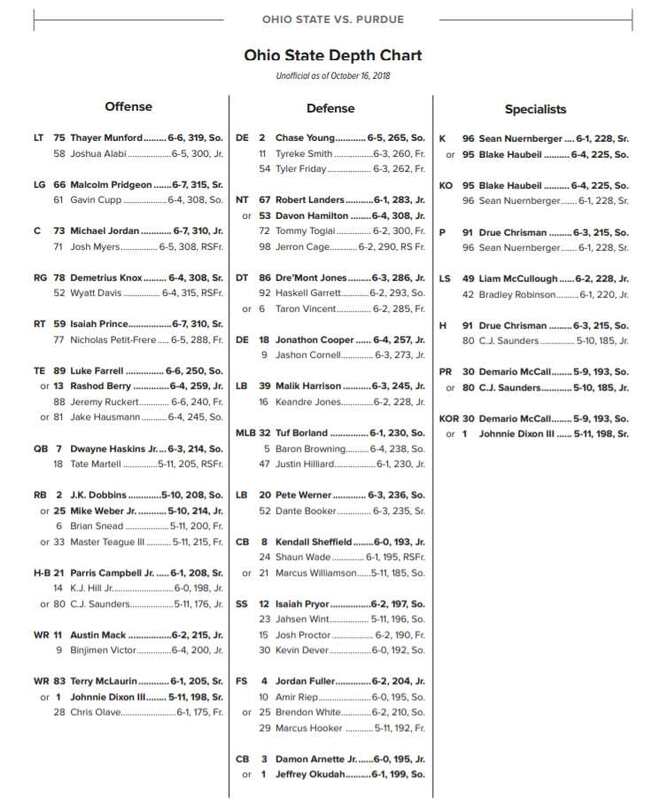 The reason Meyer and Ryan Day chart every drop back, throw, read, release, and everything in between is because they know that this may not be an easy decision. If it goes to the judges, they want to make sure the scorecards have a clear winner. There is a bit of a catch-22, however, in that Meyer would like somebody to begin to move ahead in the race, but the longer the competition goes, the more he can see how they respond to the stress. With roughly six practices remaining, including the spring game on April 14, Meyer knows what he wants to see the rest of the way out. It’s a very stressful competition with sizable ramifications for whoever wins or loses the job. Meyer hasn’t seen anybody buckling under the pressure yet, which is good news for whoever ultimately earns the nod. “Oh, they’re great. They’re good dudes,” Meyer said. “They’re good people, and they all want to be the quarterback at Ohio State. Doesn’t matter who wins the quarterback job,if he can beat out the other two of these top notch quarterbacks ,he’ll be a great one. I just hope we play the guys that can catch the ball. We have a lot of “Burners” but you have to also be able catch the ball. Sounds trite but it has hurt us at times the last couple years.